I'm pretty proud of the results of my first year of serious composting (before this year, my method was, "dump kitchen scraps in a pile and turn it occasionally"), so I figured I'd share. Here's a picture of the pile, opened up yesterday for turning/dumping fresh kitchen scraps. Closer view, and even closer. As you can see, it still has a ways to go. It consists of mostly kitchen scraps, grass clippings, and oak leaves, and I guess the latter of those takes quite a while to break down. Here's a picture of it covered with a tarp after I was done, yesterday. This is actually a combination of eight different smaller piles I worked on throughout the year while I was teaching myself to make compost. 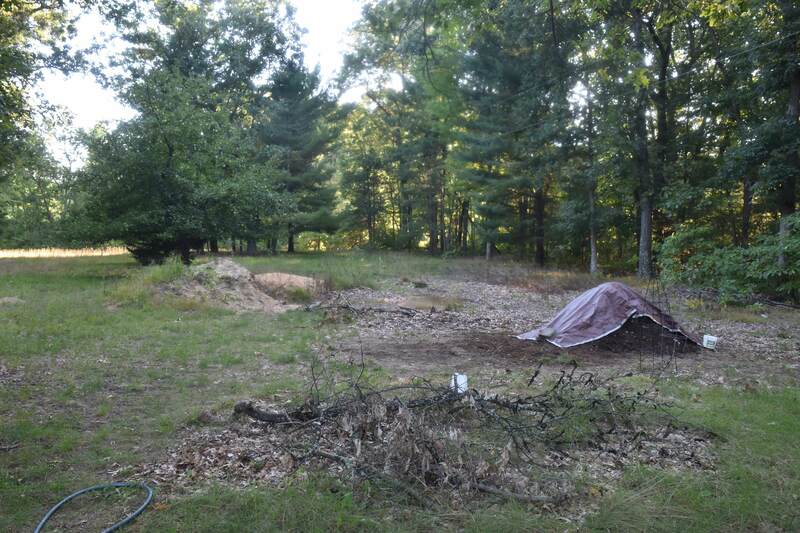 The first piles I made were basically just the result of mowing some tall grass/wild plants in the spring--I had thought that since I was mowing up both leaves and grass that the ratio would be just right for composting. I was wrong. Those three piles didn't really go anywhere. I should've added far more leaf matter, kept them wetter, and combined them into one rather than three. The fourth pile was a combination of kitchen scraps and leaf matter. I had about a 1/2:1 ratio of leaf matter to kitchen scraps. It turned out okay, but of course, I should've added more browns. The fifth pile (featuring a guest who liked the "fresh greens" that I often went outside to spray onto the pile, if you catch my drift...) started out with probably a 1:1 ratio of browns to greens and ended up with a 2:1 ratio, since I started actually figuring things out. I used both mowed-up leaves and mowed-up household paper waste for my browns, and kitchen scraps and grass clippings for my greens. The pile did end up getting fairly warm. I turned it every 2-4 days. 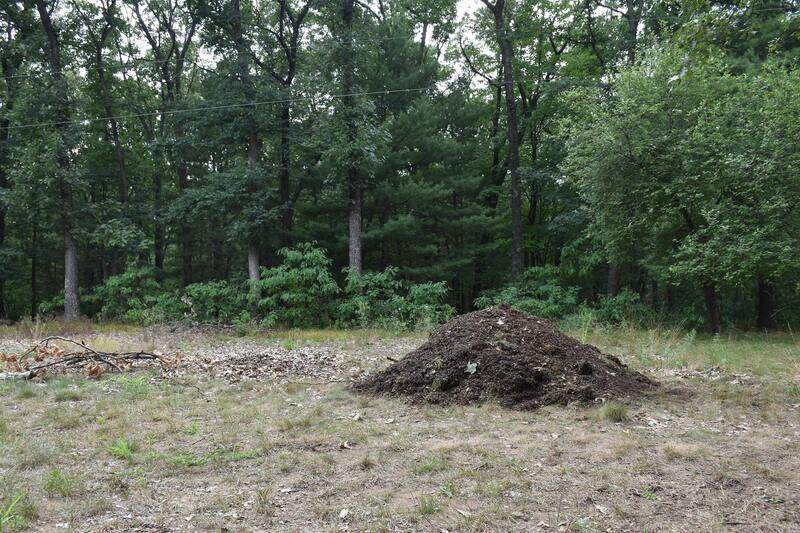 The sixth and seventh piles were nothing but oak leaves mixed with grass clippings. I wasn't great about getting the ratios exactly right, but they were both probably close to 1 1/2:1 browns to greens. Both heated up after I turned them, every few days, and turned out great. I think I do have some pictures, but can't find them. I started using a tarp with my eighth pile, and that tarp, as well as the increased amount of browns--always at least 2:1--made a huge difference, as previously I had a hard time keeping piles at the right moisture level. Either they'd dry out in the sun or they'd get soaked in the rain. The tarp protected from both and helped insulate the pile, enabling it to get to the right temperature despite being fairly small. I tried to follow the Berkeley method closely (other than that I added to it every time I turned it). If I added new scraps, I let it sit for four days; otherwise, I turned it every other day. I started adding pretty much anything to it. One time while I was turning it, I found a dessicated dead robin nearby and tossed that in. There was no trace of it the next time I turned the pile. Fairly recently, I combined all of my piles into one, as you saw above. This makes it a lot harder to turn, but it seems to be going well. Instead of making a new pile and letting this one sit, I've continued adding to this one every week, when I turn it (now that it's this big, it's hard to find time to turn it more often than that). I'm not sure if I'll be able to do this through winter. I've been stocking up on coffee grounds from Starbucks (I have maybe 8 bags of them sitting in the garage?) to help me keep it going, but it gets pretty cold here in Michigan. Maybe I should start a new pile in the winter rather than keeping this one going; I haven't decided, yet. I'm happy to hear your suggestions. Thanks for reading! Tremendous thanks to /r/composting; everyone there is incredibly helpful, and there are many very knowledgeable folks there. 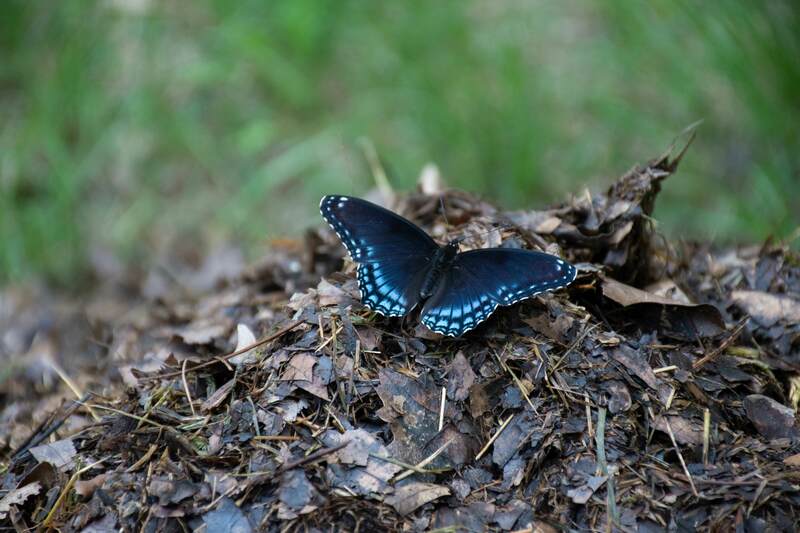 I couldn't have learned this much about composting without them. I've offered them my five invitations, so hopefully we can eventually get the same kind of composting/gardening discussion over here! 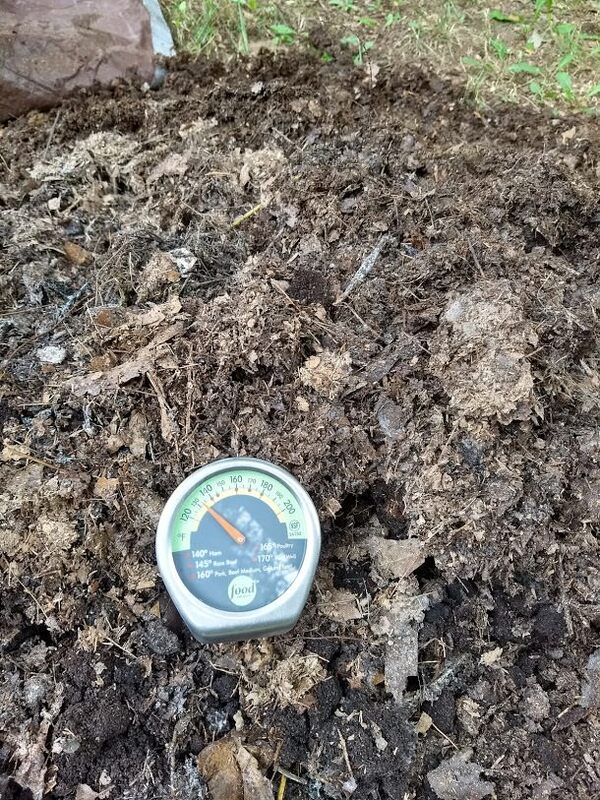 I'm hardly an expert after just one year of composting, but I'm happy to answer any questions you have about my methods, about composting in general, or about how you might get started. 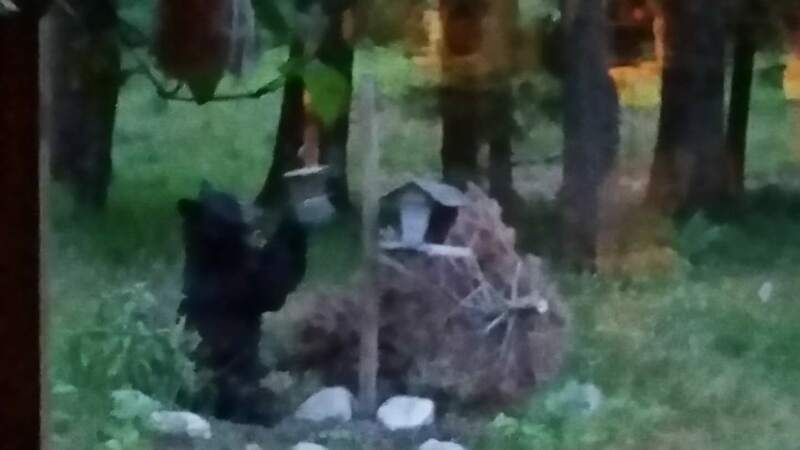 That same bear about to destroy a bird feeder... D'oh. 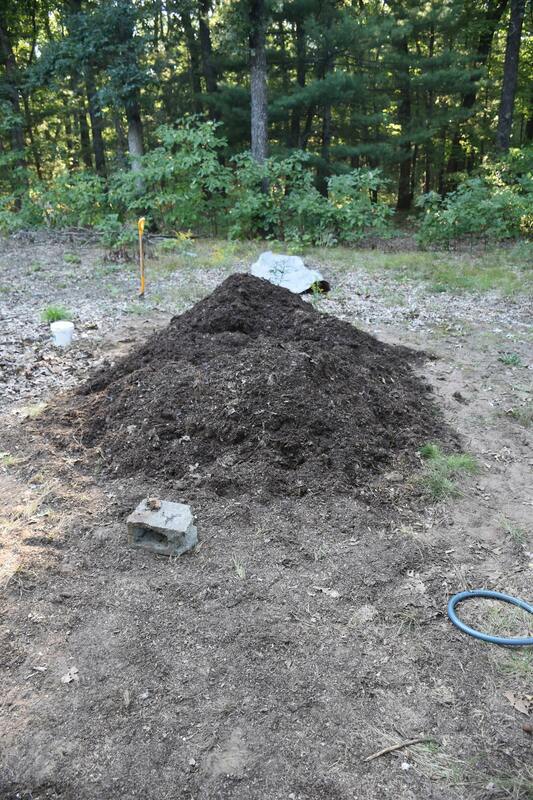 What are the benefits (if any) of composting in the open like this, versus some sort of tumbling compost bin? Well I mean it's free, kind of along the same lines if your doing it for environmental reasons you should consider the rather large carbon footprint you would have to offset before your actions would be a net positive. Depending on your location, you might be able to find free/very-cheap 55-gallon barrels on craigslist. Pallets are almost always somewhere in the free section too. 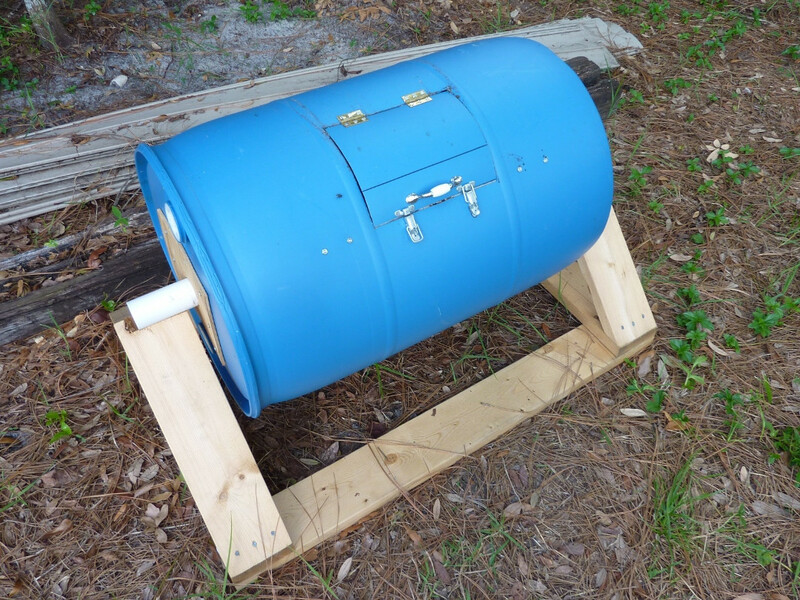 Once you have those it's pretty trivial to throw together a DIY composter, and it can be done with what's essentially repurposed garbage. As nsz said, cost (both monetary and the time it would take to put one together) is one reason I don't have one. That aside, I suspect that turning the pile is easier without one. To turn it, I basically move it to the spot next to it, and I try to do that with as little effort as possible. Lifting the compost from one bin to another, I suspect, would require more effort. I have enough to do, so as much as I enjoy the work, I'm kind of in a hurry. I've actually never had a bin, though, so maybe some others can comment on the benefits of them. 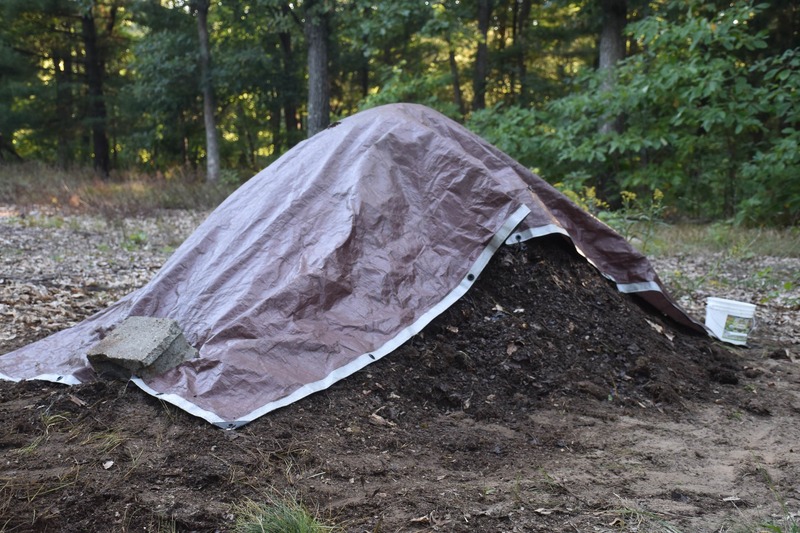 I suspect that they would do a better job of protecting compost from the elements and from critters, but now that I use a tarp over the pile, I have no problems. Any fresh scraps are buried deep enough that critters leave the pile alone. Bins also are a cosmetic choice, and maybe almost a necessity with neighbors close by. 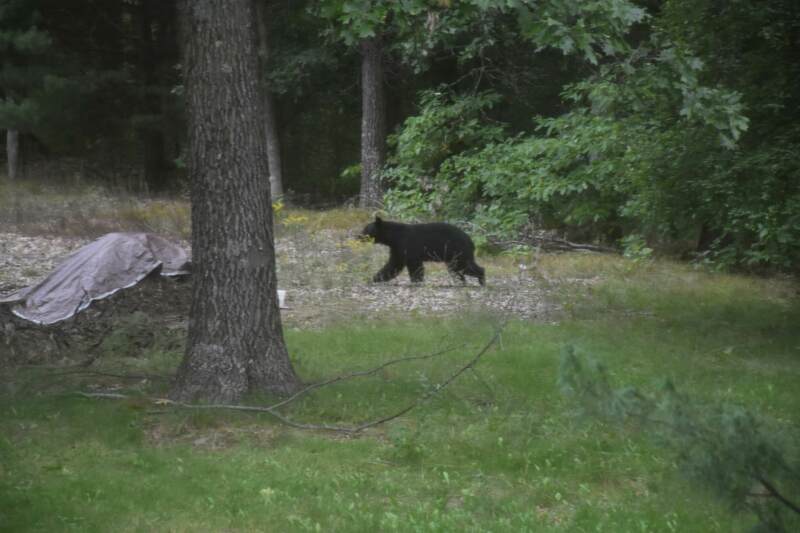 But I have 14 acres to myself and no neighbors who care about how my property looks. My wife and I like looking out on our gardening projects, so it's no problem for us! Isn't the whole point of compost bins that they can be rotated, hence why most are cylindrical drums? I would think that spinning a drum with a few handle turns is far easier than manually moving a pile from spot to spot with a shovel. 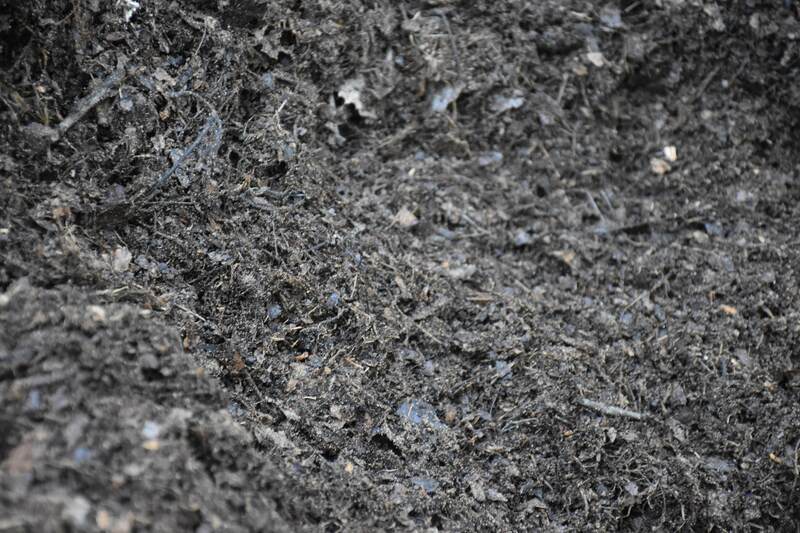 I think another benefit of them is also insulation value, since they allow for the heat generated by the composting process to accumulate and the higher temperature speeds up the breakdown of the material even further... which is potentially something to consider given your issue with grass clippings and leaves taking so long to break down using your current open-air pile method. My understanding of them is that they are too small for the volume needed to consistently get hot. The recommendation is to have piles at minimum 3' x 3' x 3' to have the proper amount of insulation from the elements. Of course, that's not really my experience--I've had a couple piles about 1.5' tall that have gotten pretty hot--and you're right, the thick layer of plastic would provide insulation. I'd kind of written tumblers off, but I should give them more consideration. I fully admit I know very little about composting so take everything I say with a grain of salt, for sure... but I imagine the insulation value of the bins would depend on, well, the insulation value of the bins. :P If you just use a cheap plastic one or a recycled steel barrel, I suspect you're probably right it that wouldn't help retain the heat very much, but if you bought a higher quality/more expensive one, it may come with actual insulation material surrounding the bin or an air gap in between two layers, in which case it might actually help a great deal with heat retention. Just a quick cursory google search shows that insulated compost tumblers and bins do exist... so, it appears to at least be an option, but whether the additional cost is worth it though, I honestly have no idea. Yeah, the cost is a bit of an issue at the moment, even though it's relatively small--I'm getting a new boiler put into my house right now (well, earlier today and tomorrow), which is a $6k hit. It hurts. 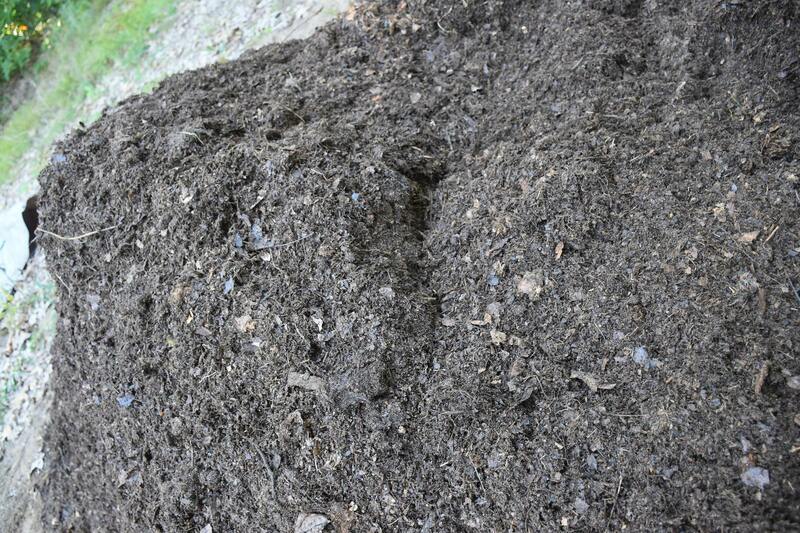 And I'm interested to see how I do with composting over the winter with my current method. I have some coffee grounds (nitrogen-heavy) stocked up, and my wife plans to start collecting more from work; I also have plans to keep a trash bin of mowed-up oak leaves (carbon-heavy) in the garage; so I've been preparing for winter composting for a while. But if it doesn't go as well as I hope, a tumbler might be the solution. Hell, I could just keep that in the garage. 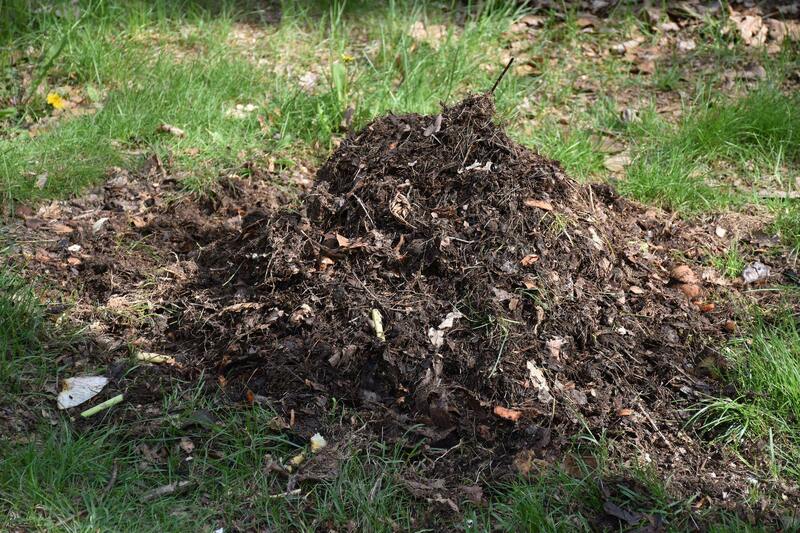 Anyone have experiencing composting in an apartment, particularly in a hot and humid climate year-round? Is it worth the effort? I do not have experience with it, but from what I recall, vermicomposting is often recommended in that situation. It can be done indoors--I've never actually tried it, but I believe it's basically just a vat of kitchen scraps and "browns" (like dried leaves or shredded corrugated cardboard) that you feed to composting worms like red wigglers. There's an entire subreddit devoted to it (https://www.reddit.com/r/Vermiculture/), and surely lots of good information elsewhere. 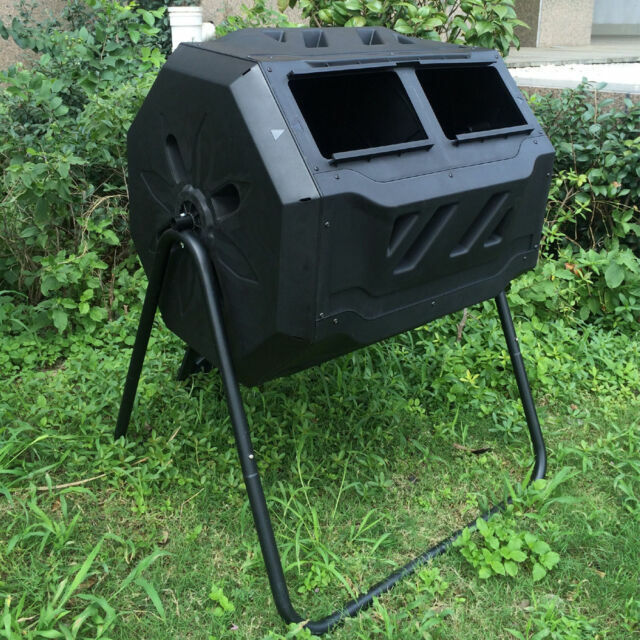 A small compost tumbler might also be suitable if you have a balcony. Hopefully some others with experience in your situation will chime in! Hey there, you should check out the Bokashi Box. I've recently bought one for my small apartment. The pro is that you can throw meat in there. It seems to be working well for me.